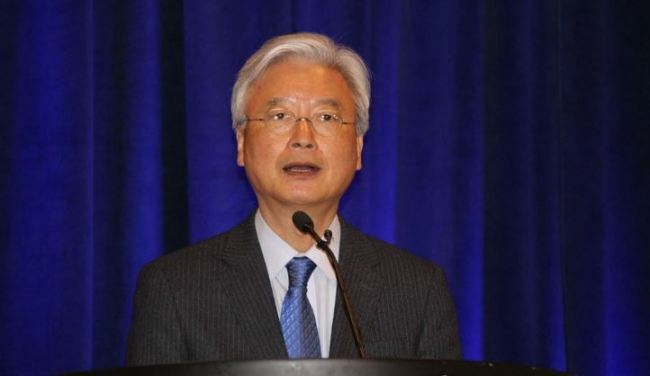 WASHINGTON -- South Korean Ambassador to the United States Cho Yoon-je will receive an award from a US organization in recognition of his service to foreign affairs, the South Korean Embassy in Washington said Thursday. The World Affairs Council-Washington, DC, a nonprofit nonpartisan group, will bestow the Distinguished Diplomatic Service Award on Cho on Friday during its ongoing national conference in the US capital, the embassy said in a release. The award has been given each year since 2009, and Cho will be the first South Korean to receive it. Previous awards were given to individuals from Britain, France, Canada, Mexico, the United Arab Emirates, Brazil, Germany, South Africa and Colombia. In his acceptance speech, Cho plans to discuss South Korea's attempts to bring lasting peace through the denuclearization of North Korea and pledge continued efforts to that end.